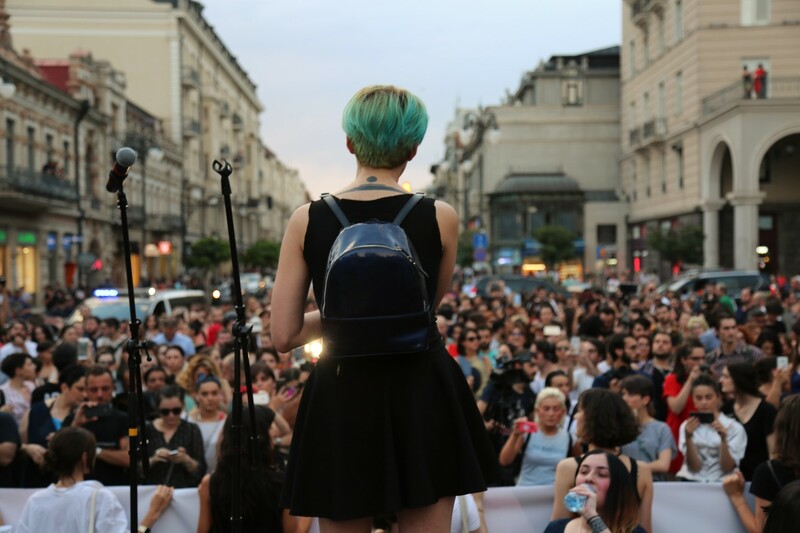 Two participants in the July 19 Women's Solidarity March in Tbilisi rode ahead of the crowd on mopeds. 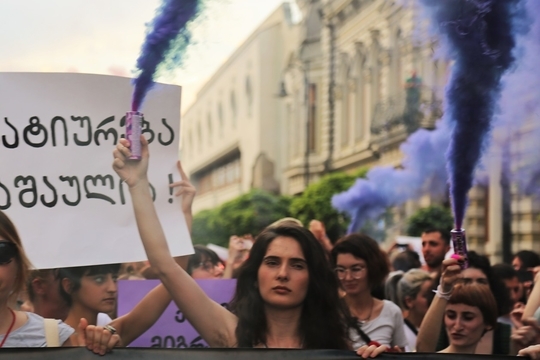 Women gathered on Tbilisi's Marjanishvili Square to protest the xenophobia and sexism linked to an earlier rally on the square. 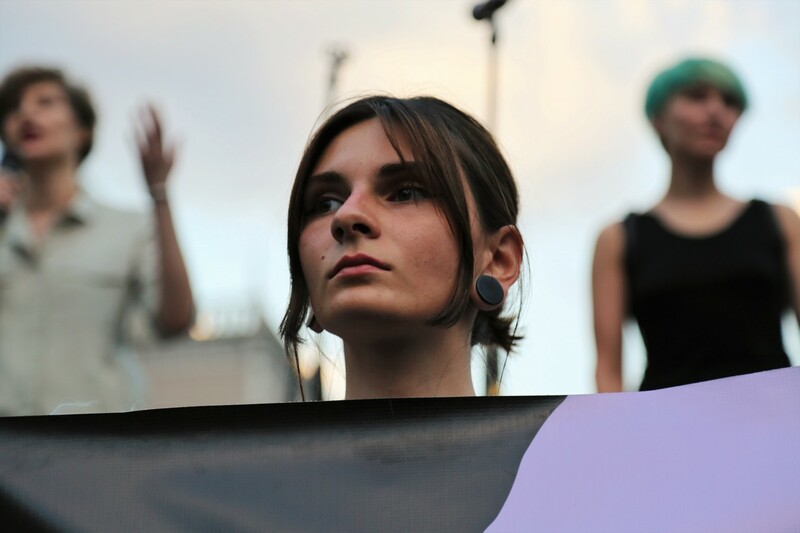 Turnout at the Women's Solidarity March, a last-minute combo of protests against an ultranationalist rally, was modest. View full-size Some local critics have assailed the demonstrators, here proclaiming "Women's Disobedience Begins," as "not real women."